If you don’t have the time to provide your house cleaning work and maintain your home, we can help you. Our company offers professional cleaning, general tidying up and doing the household chores. The domestic cleaners who work for us will arrive at a suitable day and time to do the work which you require. Our cleaners are fully vetted, reliable and professionally trained. They use safe for the environment products and advanced machines for sanitising different surfaces. Use the professional help of our qualified domestic cleaners in Hampstead NW3 every day in the week. If you need help with the housekeeping and cleaning work that you have, rest assured that our domestic cleaners will take care of it. They will arrive at a suitable for your family date and time to sanitise, tidy up and do all necessary domestic chores. 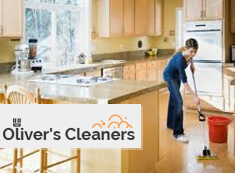 Our maids will wipe the dust from the light fixtures, sills, shelves, cabinets and furniture, hoover and mop the floors. They will clean the doors, door knobs, switches, windows and sills. If you need help in the shopping, laundry, ironing or any other task, our staff will provide it. Use the services of our qualified domestic cleaners, who are at your disposal in Hampstead NW3 every day in the week. Having to do the cleaning, tidying and household work on your own takes a lot of time and as time is precious for all of us, we can take care of this work. Our house cleaners operate in NW3 Hampstead and the surrounding areas every weekday and weekend. Get in touch with them using our call centre, online booking form or free chat. Our representatives will schedule the services which you need for a suitable time.